University of Texas (UT) Southwestern researchers have found that an enzyme on the surface of some lung cancer cells helps feed the cancer, making it a tempting treatment target. The enzyme, transmembrane serine protease 11B (TMPRSS11B), is described in a report published in the November 20, 2018 issue of Cell Reports. The open-access article is titled “Transmembrane Protease TMPRSS11B Promotes Lung Cancer Growth by Enhancing Lactate Export and Glycolytic Metabolism.” In addition to being found in squamous cell lung cancer and prostate cancer, the enzyme also has been identified in squamous cell head, neck, and cervical cancers, said Dr. Kathryn O’Donnell (photo), Assistant Professor of Molecular Biology. Her team identified TMPRSS11B while searching for genes that can convert precancerous lung cells into malignant cells that can form tumors. “In this study, we found that the enzyme strongly promoted the growth of certain types of lung cancer cells. We uncovered a new mechanism that expands our understanding of how cancer cells reprogram their metabolism to provide energy for rapid growth as they form tumors,” Dr. O’Donnell said. The researchers noticed that the enzyme was expressed at increased levels in human squamous cell lung cancers – a common type of non-small cell lung cancer – and that suppressing the levels of TMPRSS11B through gene editing or RNA interference reduced tumor growth in mouse models, she said. The research focused on TMPRSS11B’s ability to encourage the movement of lactate, a byproduct of cell metabolism long thought to be a waste product. Ground-breaking research last year from UT Southwestern Professor Dr. Ralph DeBerardinis’ laboratory found that, in fact, lactate provides fuel for growing tumors. 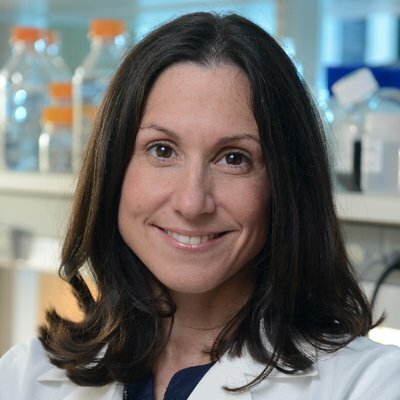 Dr. DeBerardinis, a co-author on the current study, is Chief of the Division of Pediatric Genetics and Metabolism at UT Southwestern, Professor at the Children’s Medical Center Research Institute at UT Southwestern (CRI), and a Howard Hughes Medical Institute Investigator. The study describes how TMPRSS11B helps two other cell components – Basigin and MCT4 – move lactate out of cancer cells to promote tumor growth. “In addition to providing fuel, it is thought that lactate can suppress the immune system. Investigating whether this enzyme can influence the immune system’s ability to attack tumors will be an important direction for future research,” Dr. O’Donnell said. Dr. O’Donnell also pointed out that TMPRSS11B sits on the cancer cell’s surface, where it acts as an enzyme encouraging lactate export, making it a possible target for antibody or small molecule therapy. She said her lab will next perform more detailed studies to better understand how the enzyme promotes lactate export and begin to explore strategies to inhibit TMPRSS11B for therapeutic purposes. Because most healthy cells appear to lack TMPRSS11B, a treatment that targets the protein may have fewer toxic side-effects in cancer patients, she added. “In TMPRSS11B, we have the perfect cancer drug target – it’s accessible on the tumor cell surface, it's selective for cancer cells, blocking it both inhibits the cancer growth and sets the stage for developing better immunity against the cancer, and its presence makes it a diagnostic for which patients to treat,” added Dr. John Minna, a co-author on the study. Other UT Southwestern co-authors include: Dr. Luc Girard, Assistant Professor of Pharmacology in the Hamon Center for Therapeutic Oncology Research; Dr. Prashant Mishra, Assistant Professor of Pediatrics at CRI and in the Cecil H. and Ida Green Comprehensive Center for Molecular, Computational, and Systems Biology at UT Southwestern; research scientist Dr. Chendong Yang; Jessica Sudderth, a senior research associate; Carla Rodriguez-Tirado, a graduate student; Instructor Dr. Xiaorong Zhou; as well as former graduate student Dr. Pei-Hsuan Chen and former research scientist Dr. Mahesh Padanad.